Parts of Lewisham are under water tonight after flooding hit areas near Elverson Road DLR station. 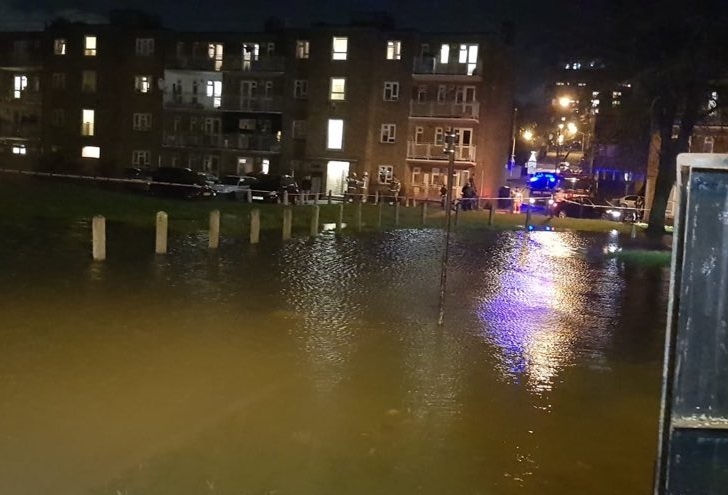 Photos show large expanses of water around blocks of flats. Thames Water are being heavily criticised on social media for a poor response and communication. Meanwhile parts of Blackheath reportedly have no water availability. A burst water main is believed to be responsible. Thames Water are apparently no on scene trying to rectify the fault.